Forever Hotel and Suites is a budget hotel located at Plot 8H 7-9 Lady Annas Nwosu Lane, Off Emmanuel K. Uzoh Avenue, House of Assembly Boulevard, Owerri, Imo , Nigeria. It is a tourist favourite due to its proximity to the Rojenny Tourist Village. It offers a world class tourism experience. Forever Hotel & Suites in Owerri features a number of amenities including an outdoor swimming pool. Among the various facilities are a fitness center and a garden. The property has a restaurant and a shared lounge. Forever Hotel and Suites has a lot of rooms all with modern furnishing. 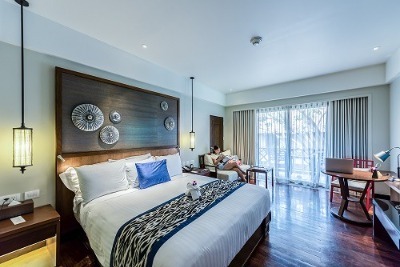 Room categories include the Double or Twin Room, Family Room, Standard Double Room, King Suite and Two Bedroom Apartment. All guest rooms features air conditioning, a flat-screen TV with satellite channels, a fridge, an electric tea pot, free toiletries and a desk, featuring a private bathroom, rooms at the hotel also provide guests with free WiFi. Guest rooms have a closet. A number of facilities are available Forever Hotel and Suites. These include free WiFi, a swimming pool, a restaurant and a bar. Guests at this hotel will have more time to enjoy their stay at the hotel. Guests can also take relaxing dips in the outdoor pool. The hotel offers additional services on request such as Shuttle Service, Shared Lounge/TV Area, Airport Shuttle, Shuttle Service, Air Conditioning, Tile/Marble floor, Soundproof rooms, Car Rental, Interconnecting room(s) available, Souvenir/Gift Shop, Safe, Elevator, Honeymoon Suite, VIP Room Facilities, Family Rooms, Non-smoking Rooms, Newspapers, Safe, Room Service. This is a popular destination for families on vacation in Nigeria. It is relatively cheaper than other tourist resort in its category. Q: Does Forever Hotel and Suites offer free wifi? Q: Does Forever Hotel and Suites have a swimming pool? Q: Does Forever Hotel and Suites offer complimentary breakfast? Q: Is there a fitness centre/gym at Forever Hotels? what type of equipment are available? Q: Does Forever Hotel and Suites have a restaurant? A: A restaurant is available at Forever Hotel and Suites. Forever Hotels and Suites is a top-class hotel in Owerri, Imo. Have nice pictures of Forever Hotels and Suites?